Nate Willis won big at the 2011 BET Awards. No, the South Central Los Angeles native didn’t take home a trophy. As a matter of fact, he didn’t even attend the show. But when superstar rapper Drake hopped on stage to accept an award, rocking a black sweater with a gold owl emblazoned on the front from Willis’ FLAUCY clothing line, the designer and his fledgling neo-urban apparel enterprise were thrust into the spotlight. But FLAUCY is no overnight success story. 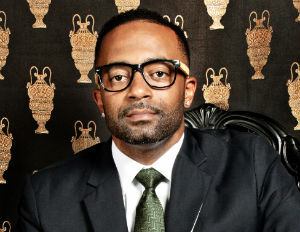 Long before Willis was the CEO and founder of a successful clothing company, the devout sneakerhead toiled away as a salesperson in stores like Nordstrom, Foot Locker and Foot Action before landing an internship with FUBU, which led to his first Magic Market Place tradeshow experience. Shortly thereafter, he created FLAUCY (F-ashion L-ifestyle A-rts U-nifying C-ultured Y-outh). More than a clothing line, Willis calls his edgy, budget-conscious street wear designs a colorblind, culture-rich movement targeted to the youth-driven consumer market. Since its debut on national television, FLAUCY has gone on to woo high profile buyers and witness a sevenfold increase in the number of retail outlets that carry its merchandise. A slew of athletes and entertainers such as Swizz Beatz, Sean Kingston, Kendrick Lamar and Soulja Boy have lined their closets with FLAUCY baseball tees, tank tops, sweatshirts and, of course, the owl sweater, which has become a bestselling staple. Other brand extensions include Money Gang, a line inspired by Hip Hop recording artist The Game, and FLAUCY QUEENS, a sporty, chic women’s line co-designed by Parisian contemporary designers, the Sachika Twins.